Ever wondered what can help to make our skin smooth and vibrant, just like a baby’s skin? Recently I have had the good fortune to meet up with the DS Pesona Beauty spa and saloon founder and owner, Datin Nur Samsidar Mohd. 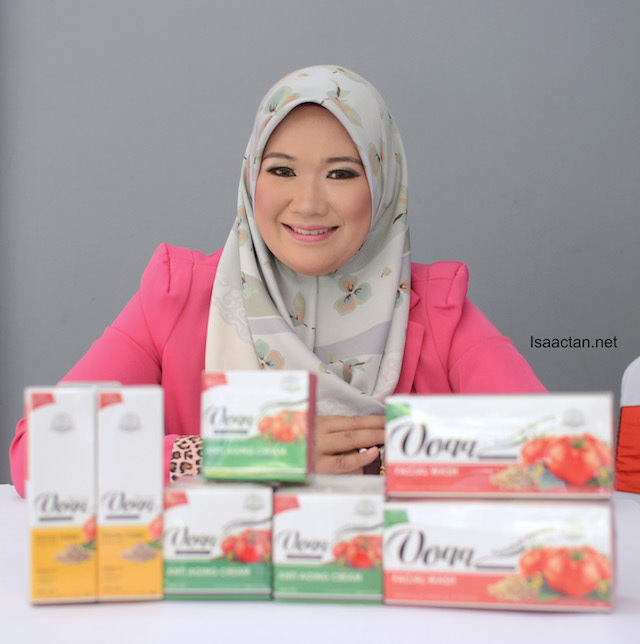 Zain, where she and her husband, Dato’ Megat Sallehudin Megat Ibrahim introduced their latest beauty skin product brand made from tomato extracts, Voqq. Tomatoes? Intrigued yet? Read on below. High demand for beauty products in the market has caused a saturation of numerous brands being produced and introduced in this country. There are international and local products, but they all have one aim in mind, to cater for the ladies that prioritise beautiful, healthy, vibrant skin. Capitalizing on this opportunity, Datin Nur Samsidar Mohd. 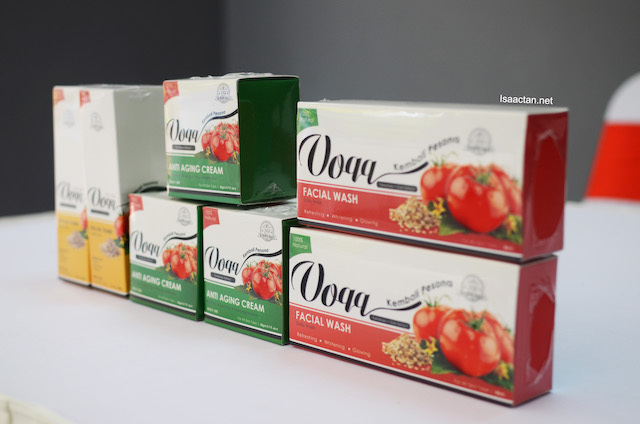 Zain came up with this skin care product under the Voqq brand, which has been in the market since 2016. Tomatoes are good for your skin, yes they are. 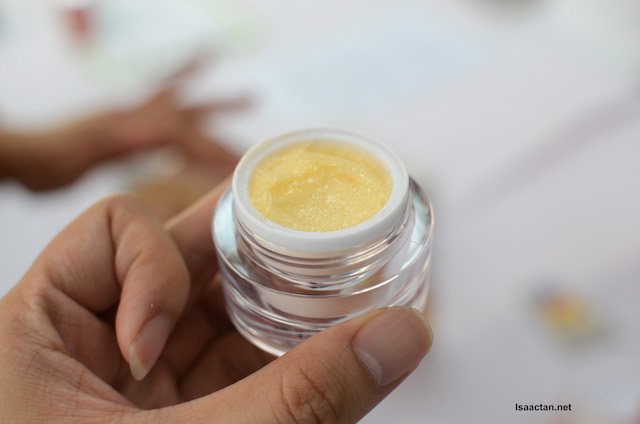 From an idea, which in the initial stages Datin Nur Samsidar used in her spa treatments, and in small personalised portions, it has grown to a full blown production. From 1 product, they now have 3 products under their belt. 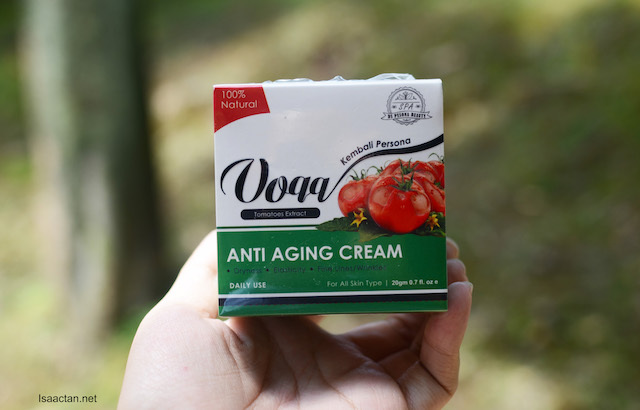 All Voqq products are produced based on tomato extracts, as it contains many good elements for the skin. Stay young, look young, in fact the lycopene source inside tomato extracts can help in brightening and giving back the luster to your skin. It could even protect from the harmful effects of our sun’s ultraviolet lights. The initial two products introduced under the brand were the anti-aging cream and the facial wash. The third product, newly introduced is the Voqq Facial Toner. 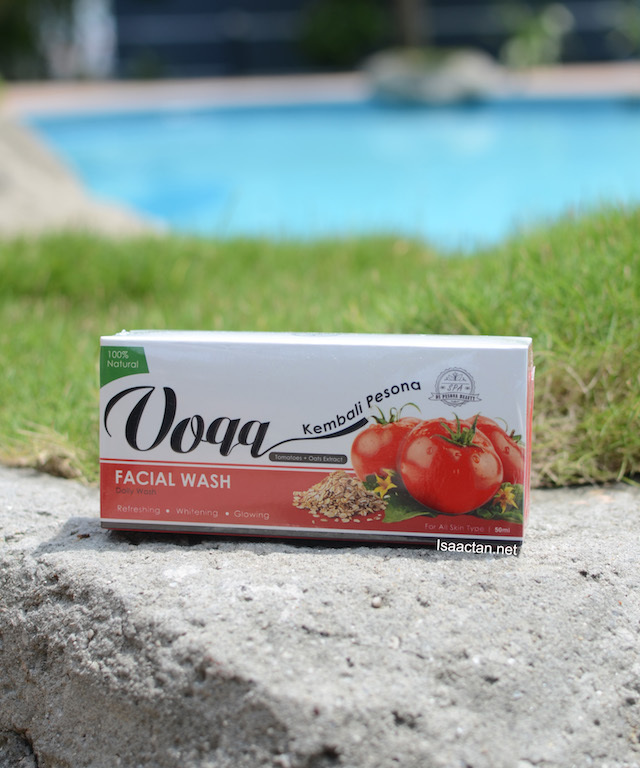 The facial wash has an extra element in it, oats which helps in neutralizing the acidity level of our skin, in turn reducing the effects of itchiness and the uncomfortable feeling on the skin. 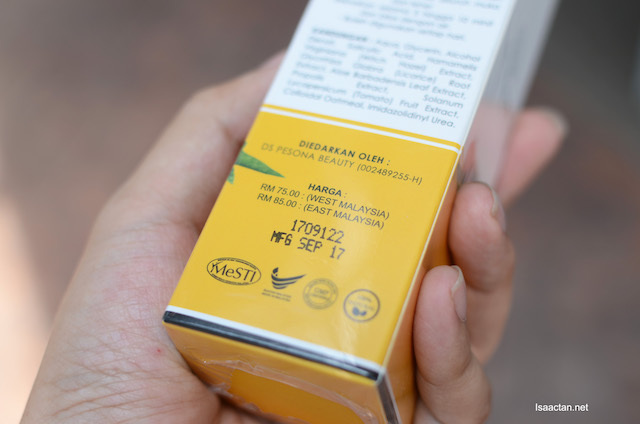 Datin Nur Samsidar did explain a bit on her Voqq Anti-Aging Cream and how it was produced using vacuum technology to mix into the cream in production for a natto-like texture. The cream itself is a home made formula that is free from surfactants and silicones, which enables it to be easily absorbed into the skin compared to other products in the market. 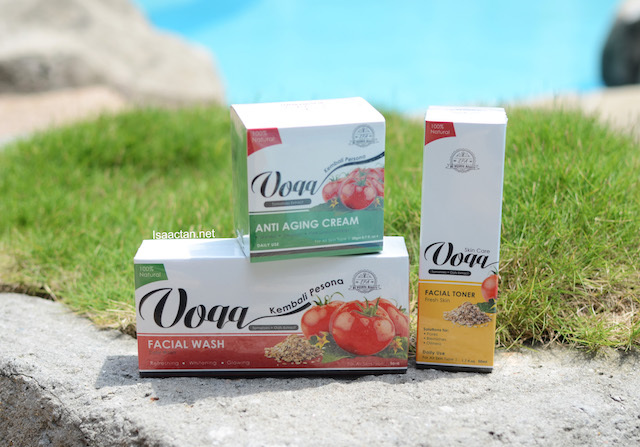 As for the Voqq Facial Toner, it is their latest product in the range, produced due to popular demand from customers who wants a complete skin care product range. 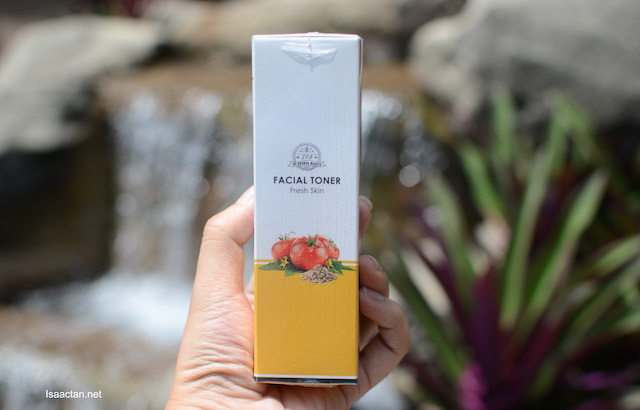 As with the first two products, the facial toner is made with tomato extracts as well, to help bring back the shine to the skin. According to Datin Nur Samsidar, the facial wash is sold for RM70 while the anti-aging cream and toner is priced at RM75 and RM80 respectively. As of today, there’s 20 official distributors nationwide including Sabah and Sarawak. If you’re interested to purchase, or even join as their distributor, do not hesitate to check out Voqq’s official channels below. 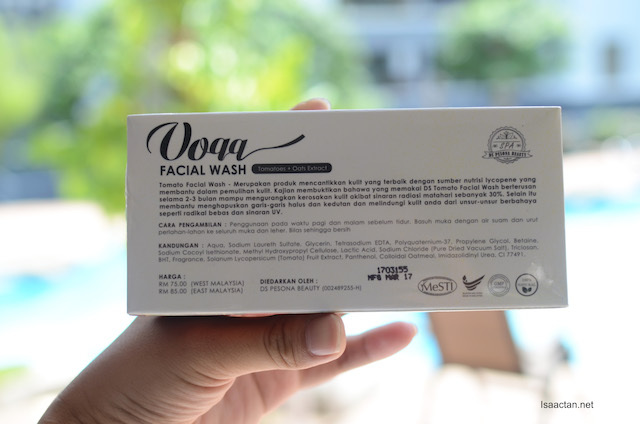 Hi, nak dapat kan produk Voqq SkinCare ni. ? Boleh contact Aiman ya.